Paul Smith’s is one of fashion’s most respected designers. Since 1970, when he opened his first shop in the UK, he has continued to create and be highly respected for his work. 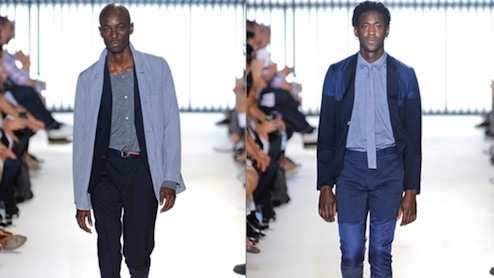 His spring 2012 collection had hints of retro inspiration and the usual tailoring the designer is known for. Layering of blazers, jackets and anoraks worn over colour-blocked tops in blue and orange made the collection feel more like autumn than spring. There was of course the signature Paul Smith stripes but also a small hint of animal print in the footwear. Casual items were worn with classic blazers and slim fitting trousers. Catch the runway show in the video below.